"Road to Terrorstorm", a condensed cut of "Road to Tyranny", "Martial Law 9/11" & "Terrorstorm" carefully crafted as a tool for reaching new people. This is a quick and dirty take, for now, made for the 9/11 anniversary. This is the best I could do with a Celeron PC, 2 days work time, and 20.5 hours of rendering (for just that 'take'). I wasn't able to even 'proof-watch' it before rendering, so please do offer any constructive criticism as I'll be doing a final render once I get my video machine re-operational after the lightning strike. Then I'll release a finalized version and a formal torrent. I wish to thank the people at public access channel 12 who were responsible for the airing of Alex Jones' important documentary “Terrorstorm” on Saturday evening. I'd thought the Internet was the only place where the endless flaws and inconsistencies of the official Sept. 11 report from the federal government were being discussed. The footprint of the Twin Towers should have been treated like the biggest murder investigation this country has ever seen. Instead, every last scrap of debris was immediately removed from the site and dumped onto barges that hauled all that critical evidence to China for disappearance. The 47-story building known as WTC7 was never hit by a plane and had only had a couple of relatively small fires burning in it. It should not have collapsed, never mind straight down at faster than the speed of gravity. The December 3rd showing of Terrorstorm at St. Marks Church in NYC was a huge success. Packed to capacity, people were forced to stand up against the wall in order catch the latest masterpiece by Alex Jones and company. 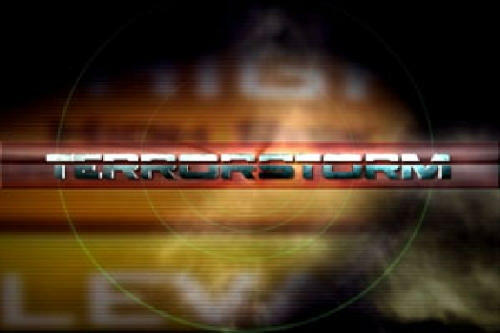 Terrorstorm takes the viewer through the history of government sponsored terror and how this fear-based tool has been used to convince a nation’s people to relinquish their freedoms in the name of security. Why is this documentary so important and different from the many other amazing works out there? Because Terrorstorm not only shows how 9-11 and the 7-7 bombings in London were inside jobs, but it also demonstrates how state-sponsored terror is the oldest and sometimes most successful trick in the book. Terrorism is an extremely effective instrument when it comes to tricking people into thinking that by giving government more power to control them, that this will somehow make them safer. It shows the viewer how most terrorism is actually the work of compartmentalized criminal elements inside government in collusion with intelligence agencies from around the world. Presenter Luke Rudowski started the night by asking the crowd how many were first-timers there at St. Marks. To this writers surprise about half the crowd raised their hands lifting my spirits with this implication that we are spreading the word and waking more people up everyday. People came from all over the tri-state area including New Jersey and upstate Westchester County to check out the film and pick-up information to bring back home to their family and friends. Over 100 copies of Terrorstorm were eaten up by these truth seekers, as well as copies of America : Freedom to Fascism, Martial Law 9-11 : The Rise of the Police State, 9/11 Road to Tyranny and many other invaluable pieces of information. Big props to Luke and CHANGE for organizing this! Come see a groundbreaking expose that details the history of government sponsored terrorism, TERRORSTORM. Immediately following the film we will hear from someone who lost a loved one on 9/11. This person has chosen to remain silent until now and is risking a lot by coming forward for the pursuit of truth. This will be a powerful and defining moment for the 9/11 movement. After the event there will be a short strategy session because education is worthless unless we use it. take the 6 train to Astor Place or R train to 8th Street. "TerrorStorm is something that should be seen by everyone, no matter what their stance/affiliation/political bent. " Get out and buy a couple of copies at your favorite distributor (listed below), if your local store doesn't carry it, tell them to. Christmas is just around the corner, start shopping today! Vote Now 9/11 Truthers! Need Your Help! Please take 60 seconds and do this Fellow 9/11 Truthers. Goto www.netscape.com and sign up for an account. (Top right).Then go here and VOTE! Netscape Users....Help Make TerrorStorm Explode!! and when its in google #1 millions will see it!! If we get enough votes this will go in the front page and 10000 clicks will take terrorstorm to google's Number 1 spot overnight. Keep Voting, If Terrorstorm Hits Number 1 on google and it will if this thing makes the first page, This thing will explode.. I know Google MAY Pull it from google, But it will stay have a couple days before its pulled and if 200k people view it, and they will tell there freinds, and etc..